Essentially, Perfect Sense is a romantic love story set against an apocalyptic backdrop. 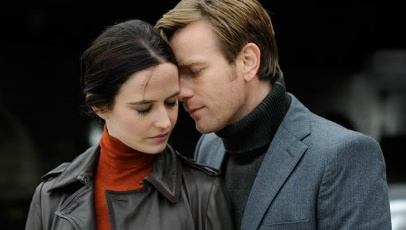 It tells of how a chef, Michael (Ewan McGregor), and a scientist, Susan (Eva Green), fall in love as an epidemic begins to rob people of their sensory perceptions. Kim Fupz Aakeson’s cunningly written screenplay imagines a world in which the inhabitants slowly lose their senses, one by one. The apocalypse is refreshingly personal and, to an extent, psychological. Whilst we are made aware – through cleverly placed and constructed newsreel-style footage – that the epidemic is happening globally, Perfect Sense chooses to focus on a handful of characters rather than the world at large. The most important of these are Michael and Susan, who are drawn together as their lives descend into chaos. The storytelling style, though an enthralling rollercoaster of emotional highs and lows, is deliberately restrained, with Mackenzie cleverly approaching the material in a subdued, intimate and character-centric way – immediately setting Perfect Sense apart from other films of its nature. For the dark subject matter it’s also surprisingly optimistic: after each sensory loss, those affected look to find a way of coping by returning to some form of normality. The film is also stunningly shot by Director of Photography Gilles Nuttgens, under the watchful eye of experienced filmmaker David Mackenzie. What’s truly breathtaking, though, is the way in which the editing superbly complements the separate stages of sensory loss – for the post-hearing scenes, for example, the sound is softened (if not muted entirely) to give viewers a real sense of what it would be like if this were to happen to them. It’s wonderfully achieved, and helps to include viewers in the characters’ struggle for survival. Max Richter’s score adds to the mournful mood, building up tension and emotion when needed. The same, however, can’t be said for the narration which, after a while jars, and often detracts from the involvement in Michael and Susan’s story. The cast works brilliantly together. McGregor and Green, in particular, play off each other’s emotions in a way that makes Michael and Susan’s unlikely relationship seem so believable and authentic. Their individual personalities, as well as their relationship with one another, evolve throughout the course of the film, almost as if they need one another’s love in order to cope with the death and destruction surrounding them. Connie Nielson, Ewen Bremner and Stephen Dillane make up the noteworthy supporting cast, delivering respectable performances in their subsequently diminished roles. Perfect Sense – while not without faults – is a beautifully intricate and personal piece of cinema, bolstered by phenomenal direction, terrific performances and truly affecting, surprisingly original screenplay.